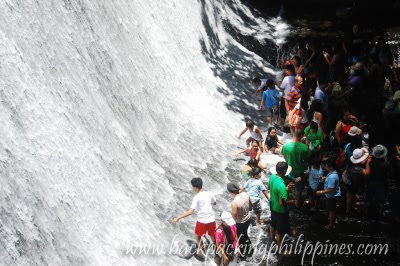 A very popular resort and resort in Quezon Province that prides itself with eating lunch with wet feet in near a waterfall, Villa Escudero was visited by Tutubi for less than 4 hours, yet paid the whole day tour package rate, in order to catch up with his elementary class reunion. buffett lunch is nothing to rave about though the caldereta is nice but not a hint of chili as it's supposed to be. 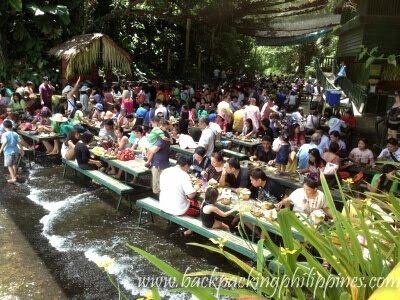 other dishes on the menu are mango, bagoong, grilled tilapia, tinolang manok (served using coconut shells instead of cups/bowls), and pinakbet. Tutubi wonders how it VIlla Escudero vs Hidden Valley Springs will turn out but he still can't make a comparison. 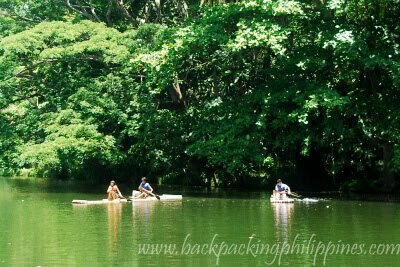 He hasn't been to Hidden Valley and he spent just less than 4 hours at Villa Escudero (though the lunch really deserves a negative review). Tutubi thinks he will never return to Villa Escudero unless his company again pays for it. For now, he can at least boast: been there, done that! 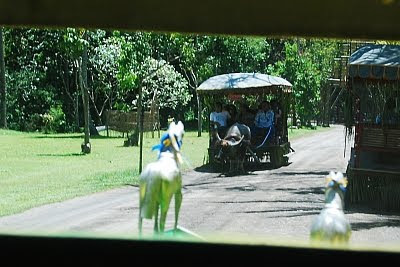 been to villa escudero long time ago...as in 1999, i think. the food wasn't that bad then and they have overnight accommodations. things might have been different now.